Thanks to everyone who bid, and congrats to Cynthia K. who won with a jaw-dropping $510! THANK YOU! You are looking at the blog post for Auction #2. View Auction #1 here. I’ve already donated some, but that Cress ARC is too tempting (not to mention the rest of the bag of goodies)! $100 USD to start this off with. I’m from the Philippines myself. I live in the city that was suppose to be the direct hit of the storm until it decided to shift slightly and destroyed Tacloban and the northern edge of our island instead. Everyone here is trying their best to help those who took the hit for us. I am so happy and thankful of you Marissa 😀 I don’t have a ton of cash and if I don’t win I was planning on donating it anyways so I don’t mind if I win or lose as long as the money goes into good hands and good people. hey could anyone tell me the diff between auctions 1 & 2 ? I have to say that today we had an argument in class about donations .. Some say that cloths and supplies are the best sort instead of money ..
No matter what conspiracy theories are out there .. our prayers are with those whom are dealing with/ have faced/ still facing the horrors of such events … may the help they need finds its way to them .. in all forms possible .. 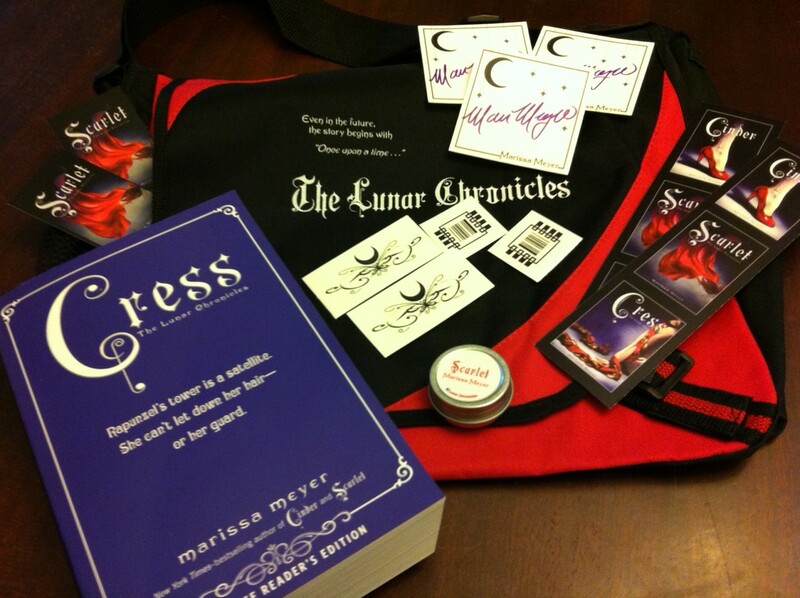 THANK YOU, Marissa Meyer for putting together a prize pak that includes an ARC of Cress. Excited to see how the Cinder’s story unfolds. Looking forward to meeting the new characters involved along her journey. Also appreciate the opportunity to donate to a great cause. Our heartfelt thoughts and prayers go out to the people of the Philippines. Thank you for the opportunity to get an ARC of Cress, along with the other goodies, and for supporting relief in the Philippines! THANKS for a chance to win a CRESS ARC! LOVE . . . LOVE . . . LOVE, this book series! That was supposed to be $500. It’s 3am here and I’m trying to type on my uncooperative phone.